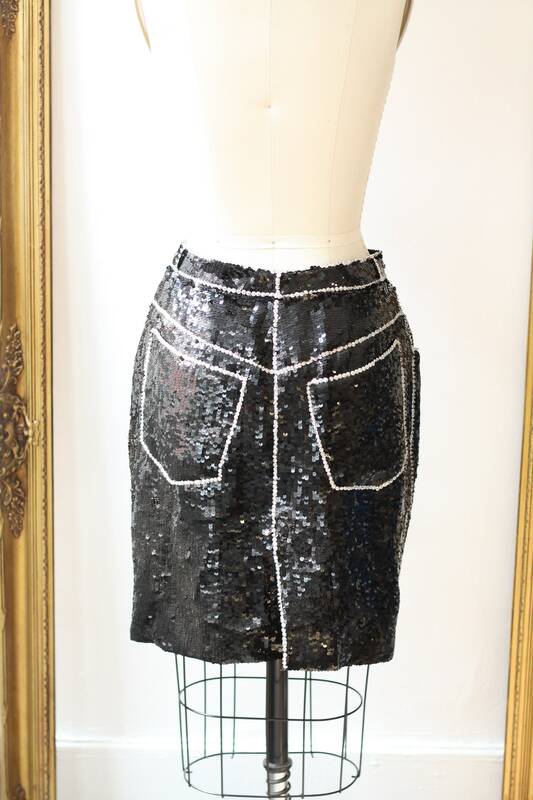 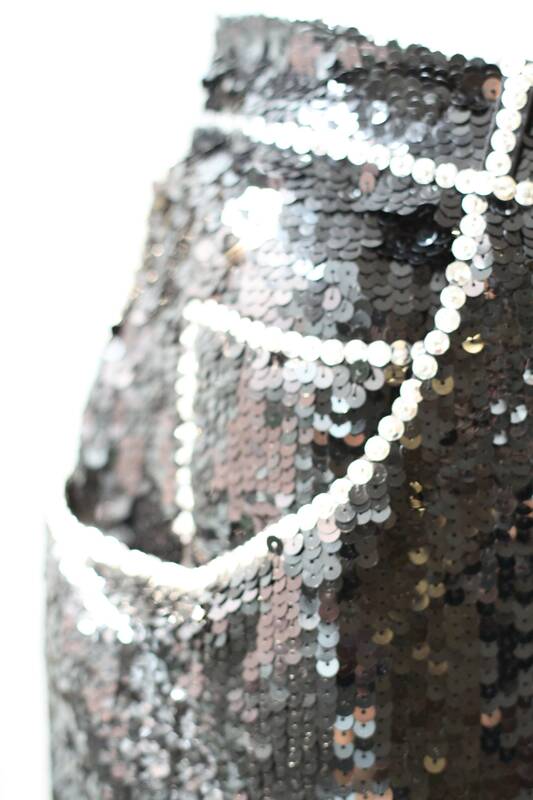 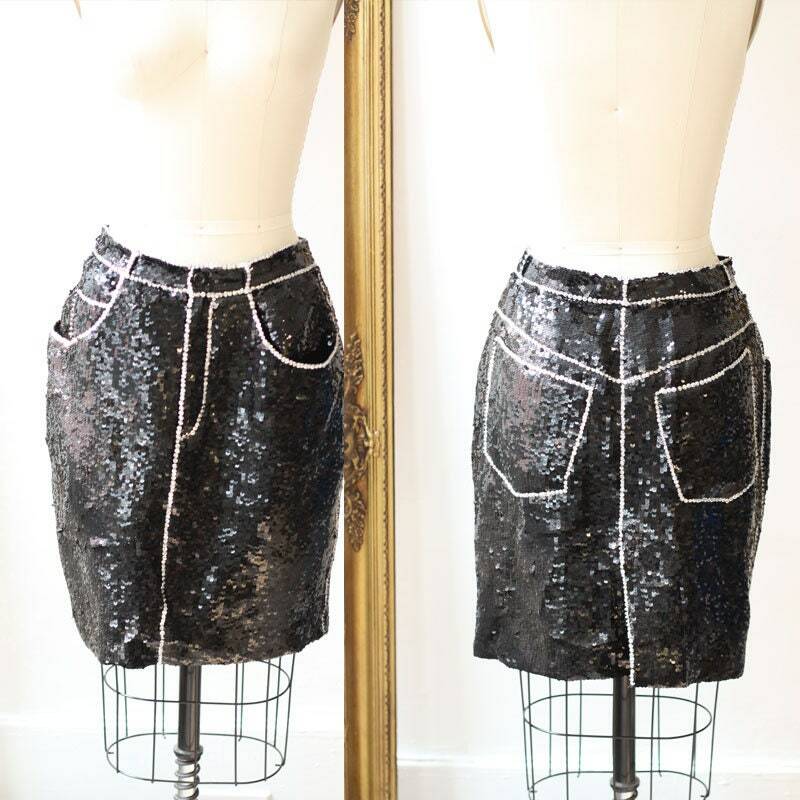 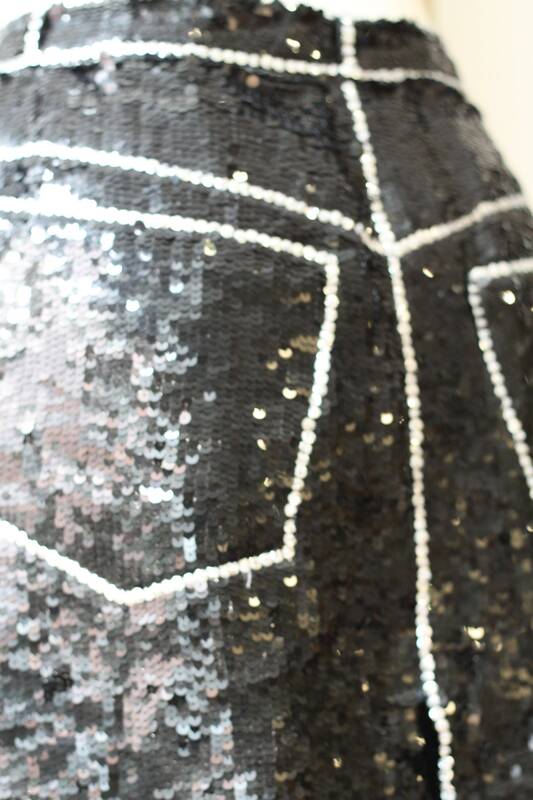 1980s black sequin mini skirt. 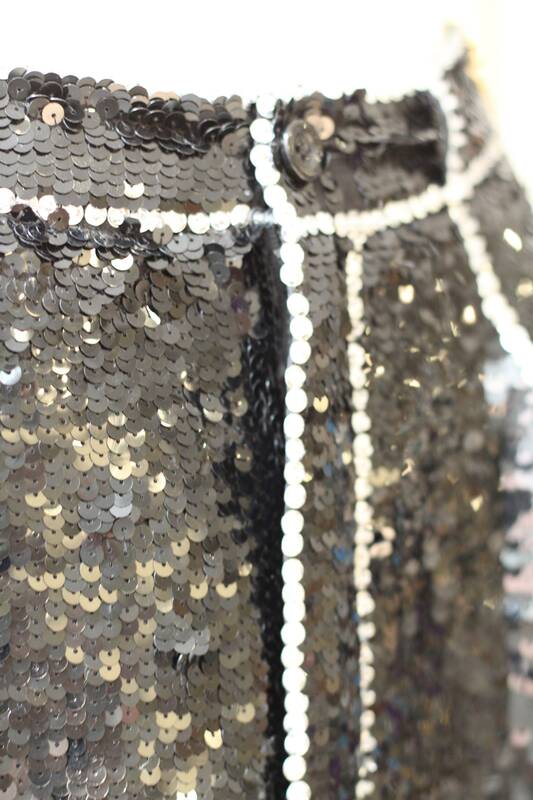 Silver rhinestone design outlines front and back pockets, zipper details, and edging. 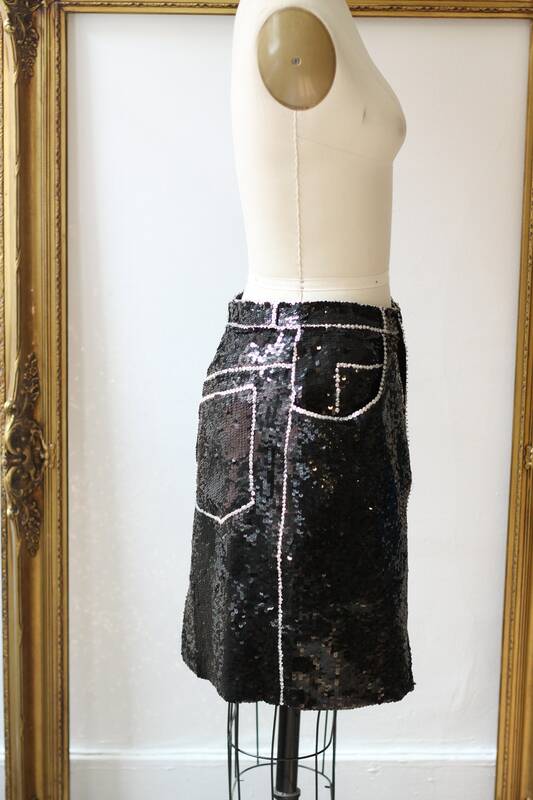 Button fly, zipper closure, and fully lined. 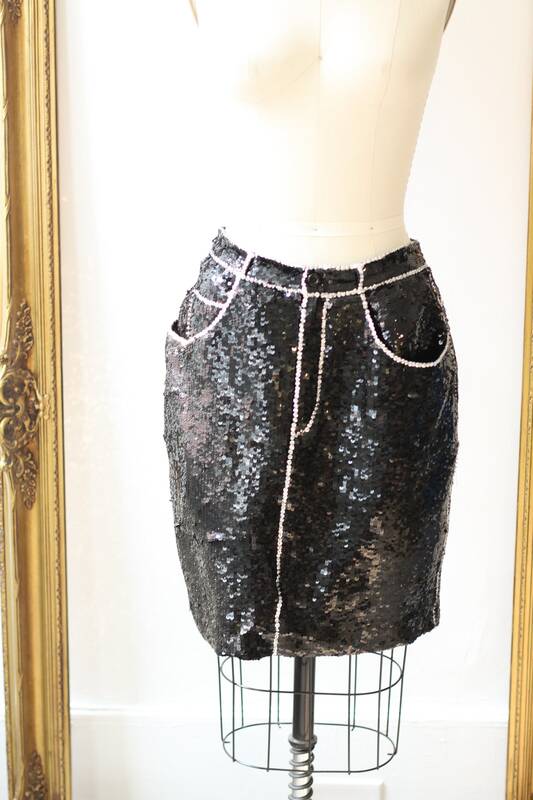 So many different ways to style this skirt but I see it with a vintage tee and some sneakers.